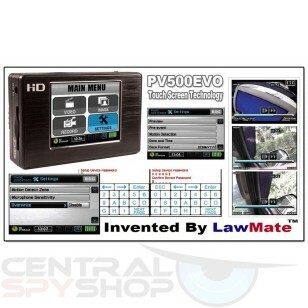 The PV500 EVO2 Touch screen is a new state of the art pocket dvr in HD. Make sure you check out the specialty HD button cam and headset that is made specifically for this unit. The PV500 TOUCH is NOW: BETTER, CHEAPER AND WITH MORE ACCESSORIES THAN EVER BEFORE! The New Evolution With The PV500-EVO 2 Is Tiny And Covert! It's so small, it can fit into a pack of cigarettes. You can hide it anywhere and it's great for "bodywear" applications. It's built-in easy to use functions also makes it ideal for stationary covery video applications so it's like getting two covert video systems in one with a huge selection of Lawmate grade camera options! It's completely black so there are no "shiny" objects that might call attention to it in sun light reflection when conducting outside covert video operations. Designed from the ground up for covert video applications from LawMate, where the innovation in covert video products never stops. New Evolution Touch Screen Generation Controls! The new generation PV500-EVO TOUCH SCREEN gives you quick and easy access to functions and settings through easy to use screen control. No more side buttons to figure out how to operate! It's all build right into the screen. One touch of your finger on the screen and you are there. You can learn to use all the advanced functions in just a few minutes. New Evolution Super High Definition! 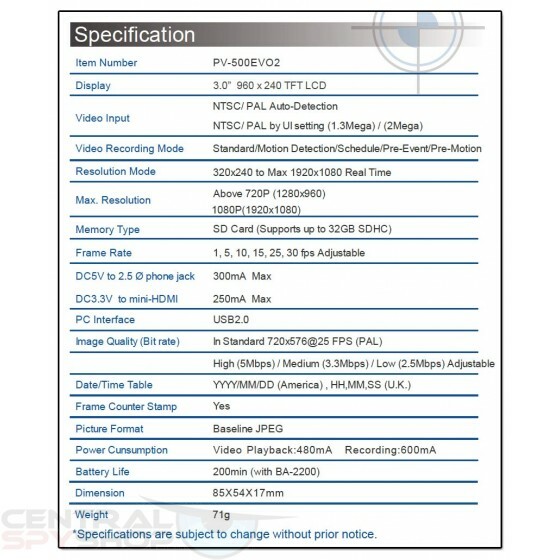 PV500 Touch Screen is able to record 1280 X 960 super high resolution quality vide and High Definition Real 1080P! ! It just doesn't get any better than this! If you want the very best end results you can obtain in covert video, this is it! Able to record 1280 x 960 (720P High Definition) in real time onto a 1GB and up to 32Gb SDHC card. 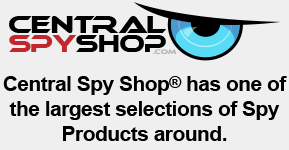 New Evolution - Snap Shot -Still Surveillance Photo Ability! The new PV500 EVO-2 from LawMate gives you still photo and snap-shot ability so your DVR can now be a high grade digital still camea! There is now no need to lug around two different recording devices! In still photo mode, you get an amazing 2 Mega Pixel still camera! PV500 Touch Screen gives you true time and date stamping you can place on all your covert videos. Time and Date stamp as well as a watermarked number allocated and burnt into every frame like pages on a notebook. The video files are tamperproof. The new generation 2010 Firmware gives you a motion activation feature you will love! This makes PV500 TOUCH SCREEN suitable for any type of covert video application rather you need to do a stationary position operation or use for "Bodywear" functions. The motion detection controls give you the ability to set a sensitivity level and gives you a grid mode blackout which means (for example) if you are doing a special operation where leaves or tree limbs are blowing, you can block out the motion activation for these grids. That's correct! 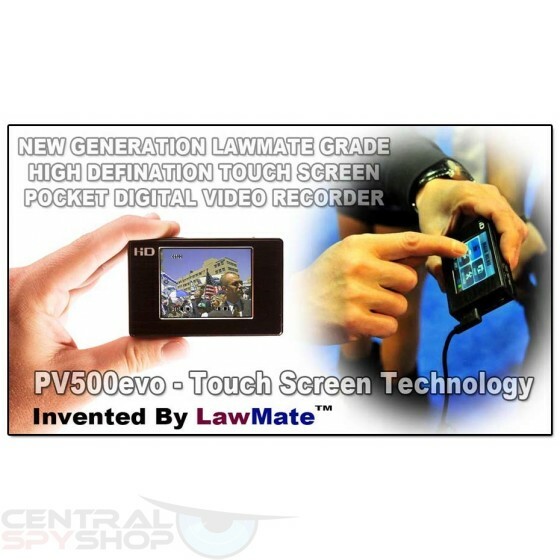 Only PV500-EVO TOUCH SCREEN and other high end Lawmate brand covert video DVRs powers a selection of top quality covert video cameras so there is no need to worry with battery power for your cameras. This unit is the best selling unit used by law enforcement and investigative applications and it's known for it's high quality! During it's life, the software has been upgraded several times. When new software upgrades become available, you can get the upgrades just like you do with your computer instead of having to buy another unit! This keeps your high grade pocket DVR up to date and on the cutting-edge. New Evolution- Easy To Use! PV500-EVO TOUCH SCREEN DVR PI Black is easy to use! 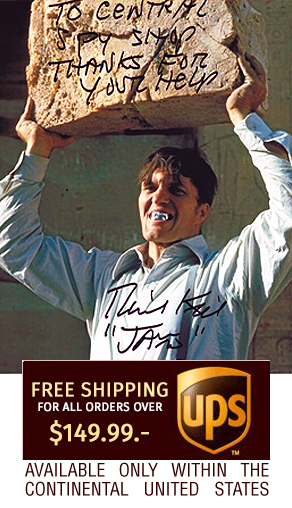 Within a few minutes, you will be using it right out of the box. PV500-EVO TOUCH SCREEN DVR PI Black is very rugged and made for law enforcement and surveillance field use. The video files are formatted in ASF format to be able to play on ANY computer. Other Recording Modes Include: Including Standard, Motion Detection, Schedule and the only real time Pre-Event recording mode in the world.